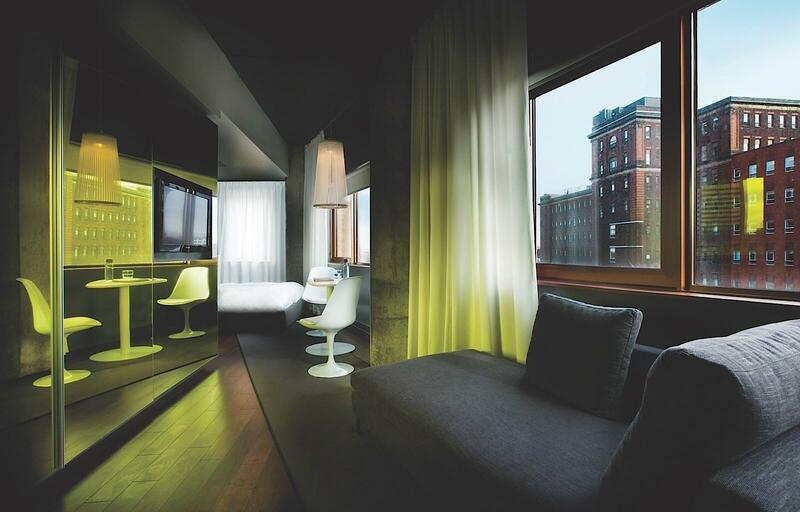 Enjoy all the comforts of home in our supremely stylish guestrooms and suites. 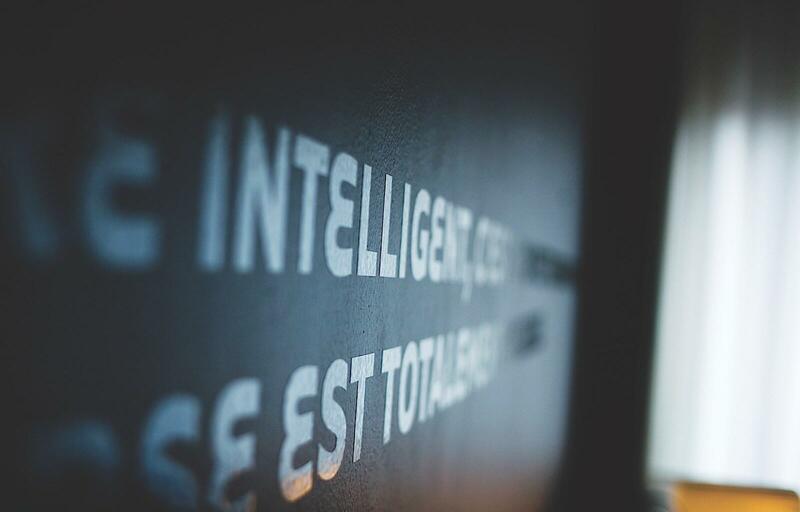 Designed for maximum relaxation in the heart of downtown Montréal, our accommodations feature complimentary Wi-Fi, flat-screen TVs, clock radio and mini-refrigerators, microwaves and coffeemakers. 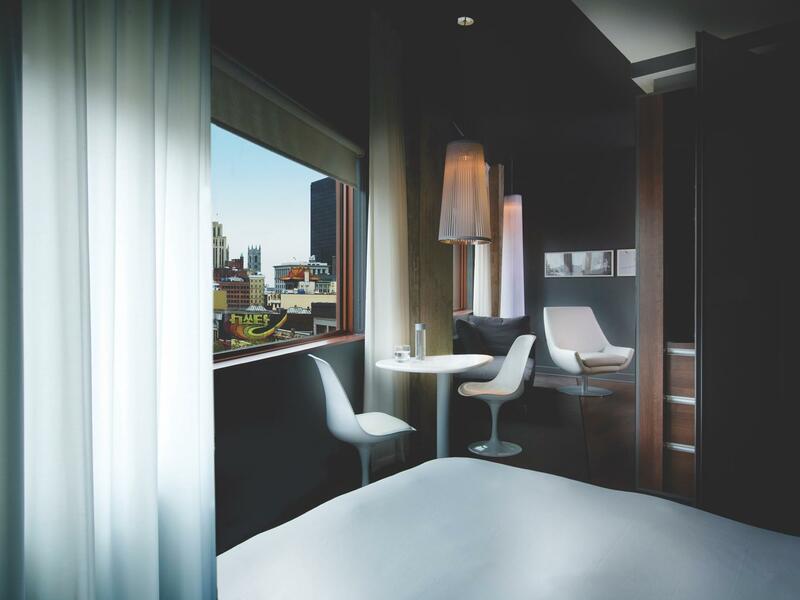 Choose one of our city-view guestrooms, or upgrade to a spacious suite and enjoy a chic lounge area, second bedroom, floor-to-ceiling windows, and other enviable extras. 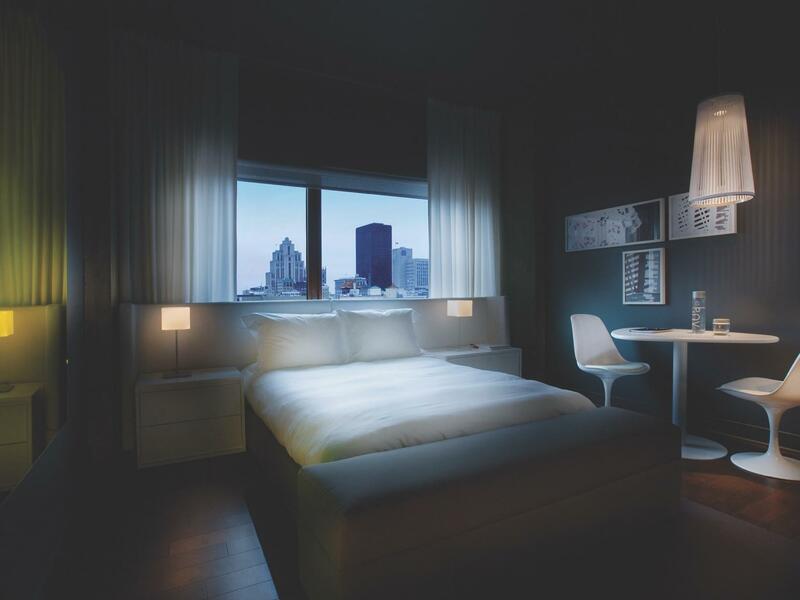 Whether you’re visiting Montréal for a romantic getaway or an important business trip, Hotel ZERO1 is sure to have accommodations that are perfect for you. Contact us to start planning your event at Hotel ZERO1 or to learn more about our corporate advantages. 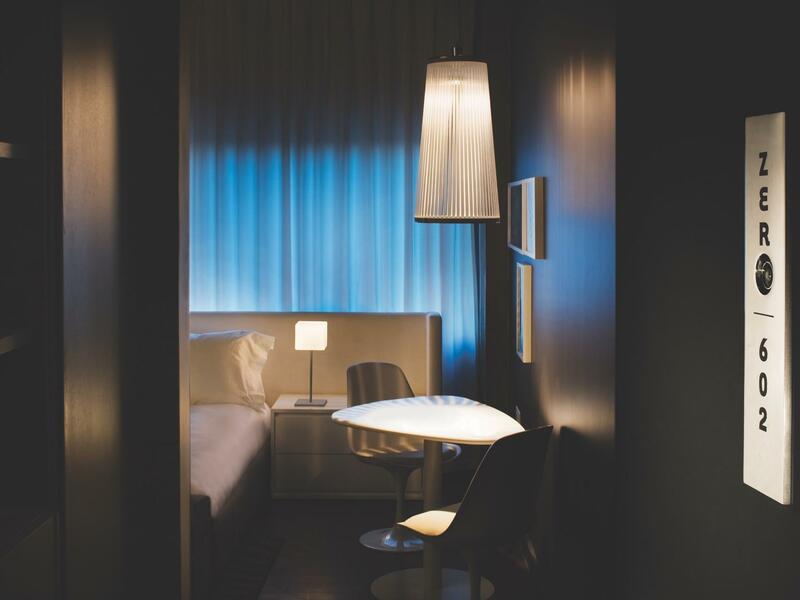 ZERO1 POP is our most popular room type for budget travelers. 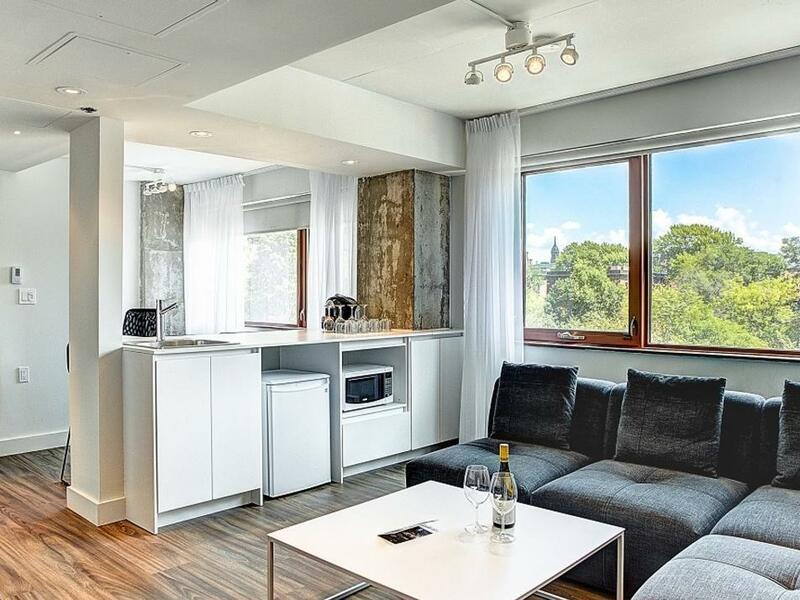 Each unit features cozy modern décor, a dining table and an elegant, functional bathroom. A more spacious version of our POP room, the ZERO1 HIP room features cozy modern décor, a dining table, pillow-top bed and an elegant, functional bathroom. 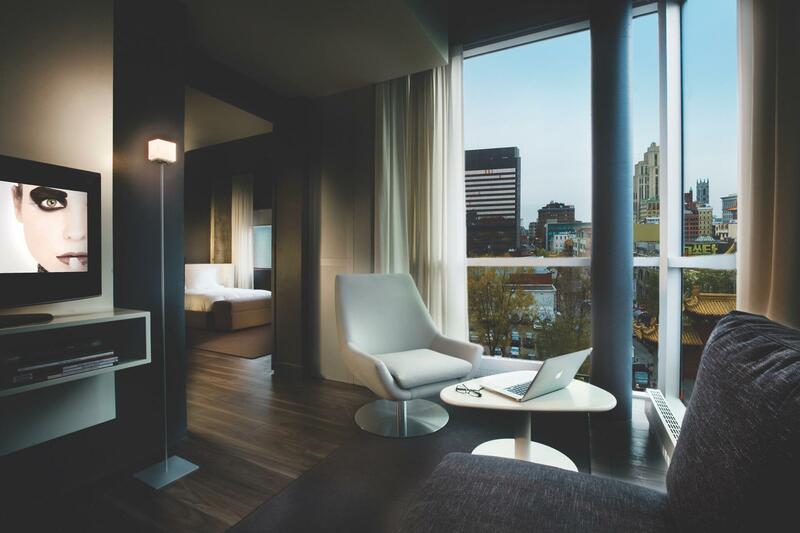 Spread out and relax in our roomy ZERO1 LOFT suite. Perfect for couples and single travelers, these stylish suites feature a cozy sitting area with a sofa and flat-screen TV. 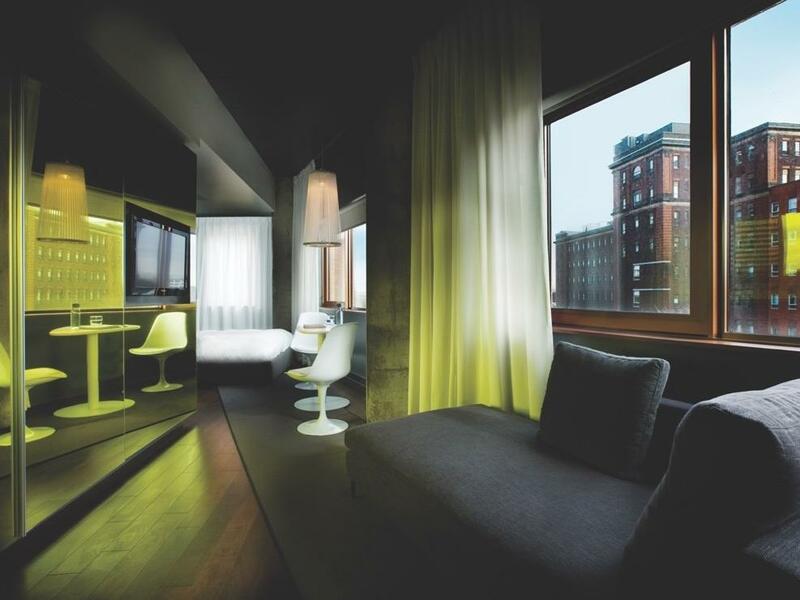 Feel the sensation of floating above Montreal in our stunning PANORAMA suite, boasting floor-to-ceiling windows and breathtaking downtown views. Live the good life in this upscale suite. Perfect for families and friends, these 600 square foot apartment-style units feature two bedrooms. This outstanding and unique Executive Suite offers 600 square feet of living space with 2 private bedrooms, in a completely renovated unit.